4 Bedroom Detached House For Sale in for £639,950. Launching soon - please call to register your interest. Built to a high specification by well respected local developers Gilbert & Goode the reverse level accommodation in these beautiful new homes offers well planned and spacious living accommodation designed to make the most of the position and view. Complete with bespoke Contemporary True handleless style fully fitted Kitchens with a quality range of NEFF appliances included and under floor heating throughout. This well appointed 4 bedroom detached house also offers ample parking and an integral double garage with useful door through to the main accommodation. 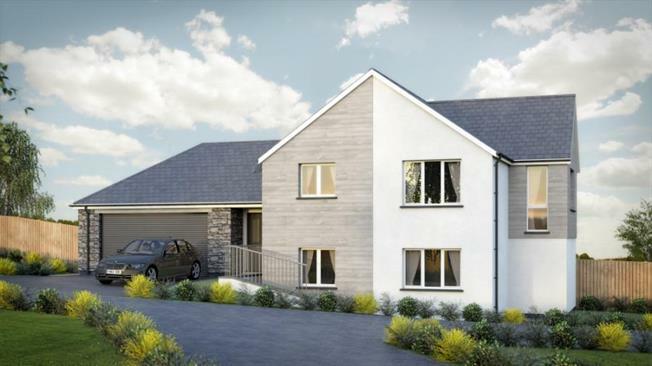 One of only 8 executive homes on this select development of just 21, set in the popular village of Lelant close to the stunning coastlines and sought after locations of St Ives & Carbis Bay. The superb location offers not only offers potential purchasers an amazing lifestyle in this beautiful area of Cornwall but also has great local transport links. Lelant has its own station which provides links to the Cornish main line and beyond, it is located just over 20 miles from the County town of Truro, 3.5 miles from St Ives and just 36 miles from Newquay airport.